South Korea will provide 500-thousand U.S. dollars in humanitarian aid to Indonesia via the local Red Cross to help victims of a devastating earthquake that shook the resort island of Lombok last Sunday. The Foreign Ministry said Friday that it hopes the aid will help victims swiftly get back on their feet and will assist restoration efforts. The ministry added that the South Korean government will continue to provide humanitarian aid to countries and people devastated by natural disasters. 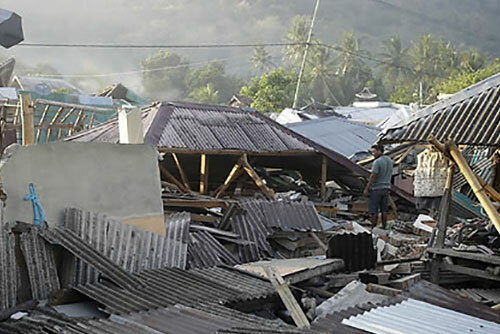 The Indonesian government has said that 259 people have been killed as of Thursday by the six-point-nine magnitude earthquake that struck last Sunday. The quake and powerful aftershocks have also displaced some 270-thousand people. The ministry upgraded its travel restriction level for Lombok to level two, under which South Koreans are advised to refrain from traveling to the destination.